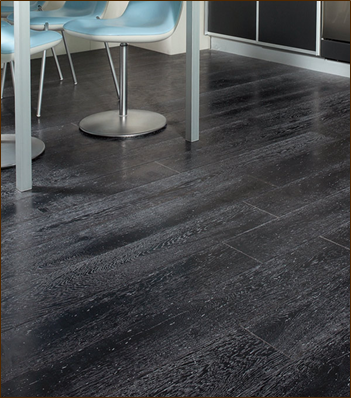 “Naturally dark” is a range of wood darkened using an innovative environmentally friendly heat treatment, designed in response to contemporary style demands. 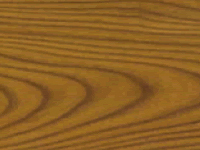 The action of the heat, pumped up to 210 °C, changes the wood’s characteristics naturally, without any additives; it allows the wood’s original tonal effects to be maintained and, by controlling the intensity and duration of the exposure to the heat, precise chromatic shading can be obtained. Thanks to the high temperatures they are exposed to, the woods naturally lose up to 50% of the humidity they contain. 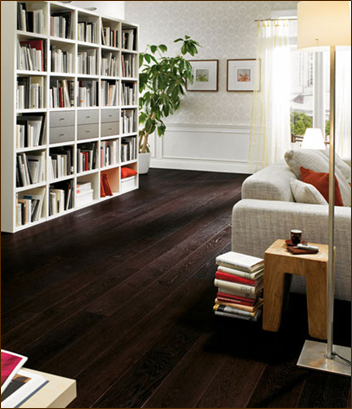 The parquet gains robustness and stability, and becomes less susceptible to the effects of swelling and shrinkage; appearance wise, attractive dark tones, such as warm chestnut and fumed black, can be created. This kind of heat treatment therefore guarantees stability and soundness, naturally, without recourse to any chemicals and dyes, which always upset the ecological balance. 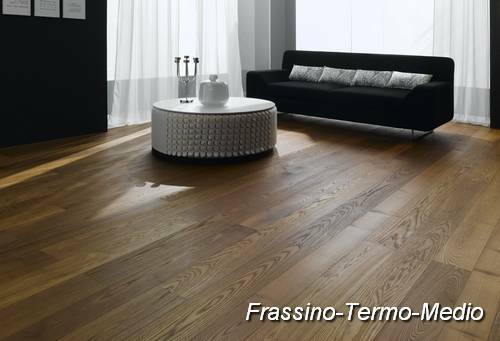 Thermo-wood maintains its shape and size well. 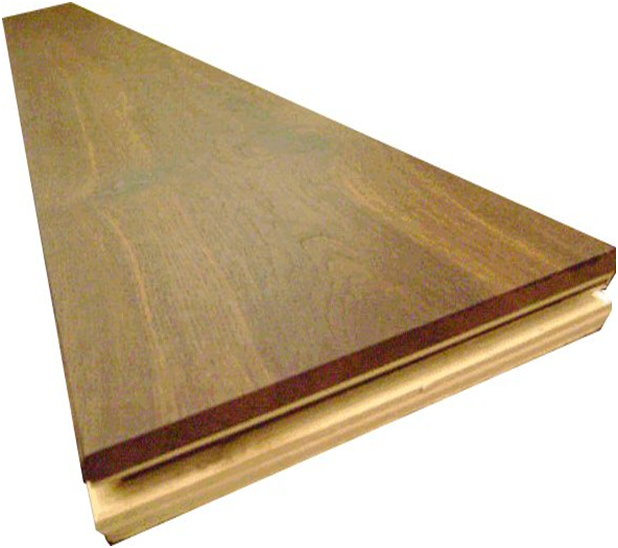 Once processed, the wood’s decay-resistance improves significantly, and it withstands changes in weather well. Therefore, it is extremely suitable to use anywhere, indoors or outdoors. 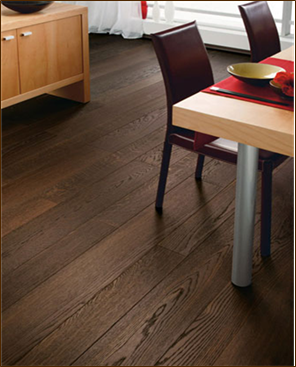 Furthermore, thermal processing gives the wood a pleasant color and a beautiful surface. The production process involves only very high temperatures and steam; therefore the end-product is completely natural and chemical-free. For this reason, a product that has reached the end of its life-span can be burned without causing harm to the environment. A new and important step forward in the protection of the environment, without compromising on the beauty and contemporary feel of a dark toned parquet.